The Jordan-based Arab Bank reached a settlement on Friday with the families of the victims of some of the 'Palestinian' terror attacks it helped finance. The settlement was confirmed on Friday by Michael Elsner, a lawyer for the plaintiffs, and a spokesman for Arab Bank. The terms were not disclosed. Elsner said the framework of the deal would be finalised over the next few months. A trial had been scheduled to start on Monday to begin determining how much the bank would have to pay the victims and their families. 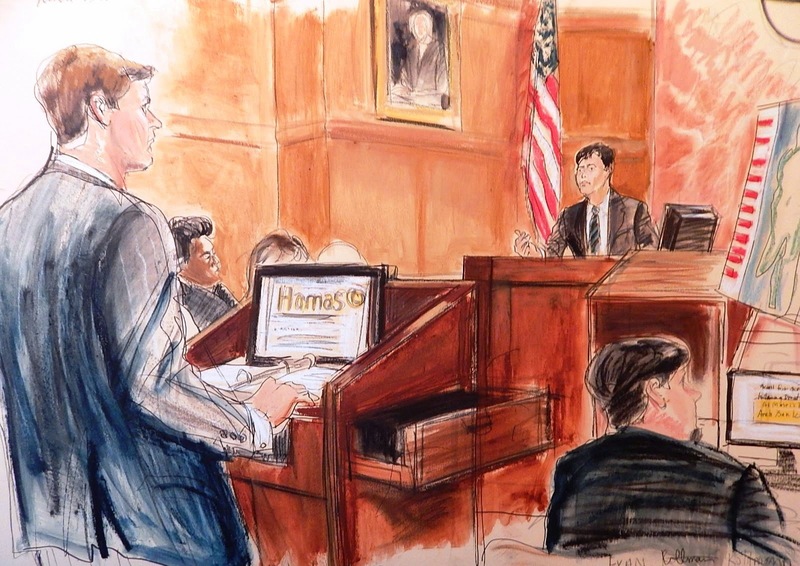 The Jordan-based multinational lender was found liable by a US jury in September 2014 for financing terrorism by transferring funds for members of Hamas. Approximately 500 US citizens had sued Arab Bank under the US Anti-Terrorism Act, which permits US citizens to pursue claims arising from international terrorism. The plaintiffs included both victims of attacks carried out by Hamas and other groups, as well as family members of the victims. Arab Bank argued that it had followed proper screening procedures to checked accounts and transactions against lists of designated terrorist organisations. Several other banks are facing similar claims in US courts under the Anti-Terrorism Act, including Bank of China, Credit Lyonnais, HSBC and Royal Bank of Scotland, among others. Hope the rest of them all have to pay too. The settlement, whose details were not disclosed, comes days before the trial was set to enter its damages phase in federal court in Brooklyn, according to the Associated Press. In the trial, 300 victims of terrorism during the Second Intifada in the early 2000s sued the bank, which was accused of helping Hamas create a “death and dismemberment benefit plan” for dead terrorists. The suit was first filed in 2004. According to AP, the case was the first time a bank had been tried under the Anti-Terrorism Act, which allows victims of attacks by United States-designated terrorist organizations to seek damages. 'Death and dismemberment benefit plan.' Never heard that one before.